God's Greatest Gift. 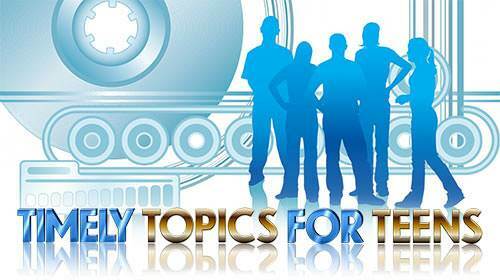 Lesson 2 Questions in "Timely Topics for Teens"
a) at once like Christ. b) at once the possessor of priceless gifts and privileges. 2. Which statement does not belong with the others? a) Christ is life eternal. b) Christ is God's greatest Gift. c) Christ lives within me. f) The Bible may be the Word of God. g) Christ is the answer. 3. A child of God has no record because his sins have been blotted out by the precious blood of Christ. 4. God's greatest gift is the church. 5. Becoming a Christian means joining a church and behaving like a Christian. 6. When God redeemed you through Christ, He placed under the hood, so to speak, a powerful engine—the resurrection life of His Son. 7. To begin trusting Him instead of trying to do it yourself is to stop pushing with your own power and start making use of His power. a) learn to love someone you dislike. b) never have any sickness. c) break the power of a particular sin in your life. d) defeat the devil and his power.